Guru Gobind Singh Indraprastha University conducts IPU CET in the month of April, May and June. The Indraprastha University Common Entrance Test will be held for UG and PG admission in the University. The candidates must check the dates for their course carefully. Along with the courses, the course code is also mentioned. 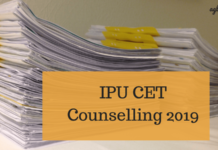 Make a note of it, as it will be required in the future.The candidates may check all the important dates, eligibility criteria, syllabus, exam pattern, and more details on IPU CET from the article below. GGSIPU offers 58 courses. However, IPU CET will only be held for 45 courses. The admission in medical courses will be granted through national level examination. For B.Arch (Weekend), LLM (Weekend), PG Diploma in Women’s Empowerment, MBA (Weekend), and M.Tech (Bio-Technology) no CET will be held. There are some eligibility criteria set by the university, candidates who want to appear in CET should be eligible for the entrance examination. The eligibility criteria for all the courses differ from each other. Whereas candidates who will apply for undergraduate programmes should have attained 55% aggregate in 10+2 and the candidates who shall apply for the postgraduate programme must have obtained minimum 60% aggregate in Bachelor’s degree of the programme that is required. Scheduled Caste/ Scheduled Tribe candidates or widows/ Defence Personnel/ Persons with Disability will be allowed 5% relaxation of marks in the minimum eligibility requirement, irrespective of the fact whether there exists any reservation for any category of such candidates or not. The exam pattern for IP CET can be checked from the table below. Subjects for entrance test is decided by the university itself. Each course is having different syllabus for CET. If we see the syllabus generic manner, for the undergraduate courses the syllabus will include the subjects from the 11th and 12th standard. Whereas, for postgraduate programmes candidates have to study the subjects that they have studied in their bachelor’s programme. at what time one should reach the examination test center as exam timing given is from 2:00 pm to 4:30 pm???? To avoid any unwanted situations you should be there at least 30 mins before the exam time. When will the merit list for admission in MBBS colleges of ipu be released??? There has not been any official announcen=ment yet. Please wait. You’ve to fill the IPU CET Application form and on the basis of rank/merit in CET you’ll get the desired college of IP university.